During times of drought soaker hoses can be a big benefit in preventing foundation movement and the damage that comes with that movement. The soils in this part of Texas are very expansive, meaning that the clays in the soil will expand or swell when the ground is wet and contract or shrink when they are dry. As the soils go through the wet and dry cycles, the volume of the soil will expand or contract and the structures that are sitting on them, like your house, will move up and down with the changing soil conditions. Soaker hoses help keep the moisture content of the soil consistent and thus help keep your home from moving so much. 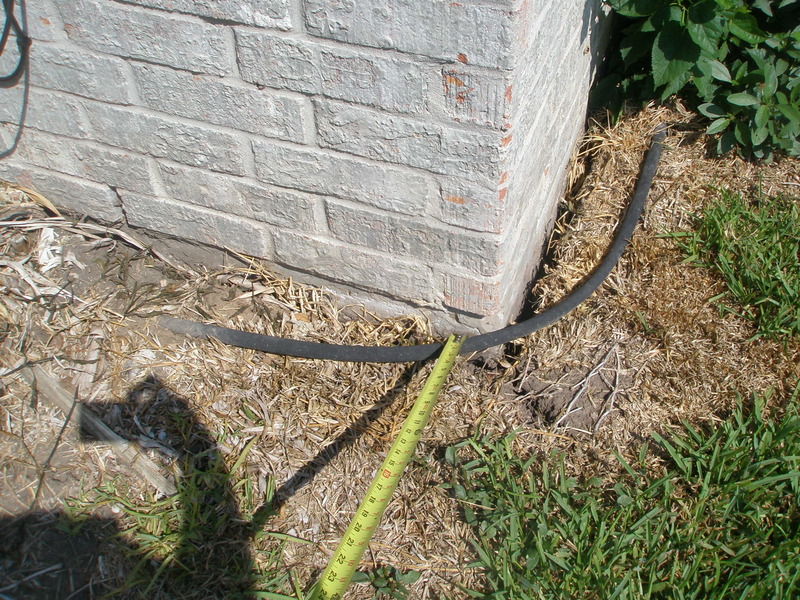 Ideally, soaker hoses should be placed about 12 inches to 18 inches away from the perimeter of the home’s foundation and right below the surface of the ground. If you leave the soaker hose on top of the ground, about 50% of the water will be lost to evaporation. Soaker hoses, when turned on, will replace some of the water that is used by plants and lost due to evaporation. You do not want the ground to be so wet that puddles form and do not go away, nor do you want the soil to get too dry. The purpose is to keep the moisture content of the soil as consistent as possible from day to day. Placement of the soaker hoses is a very important aspect of installing them. If they are placed too far from the foundation, the effect is reduced or you will have to use much more water to get the same desired outcome. 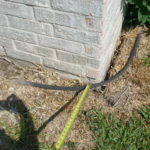 Placing the soaker hose against the slab can have a negative impact on your house also. 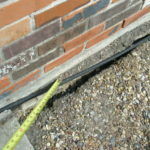 You may have seen the little gap that appears between the foundation and the soil during a period of no rain. 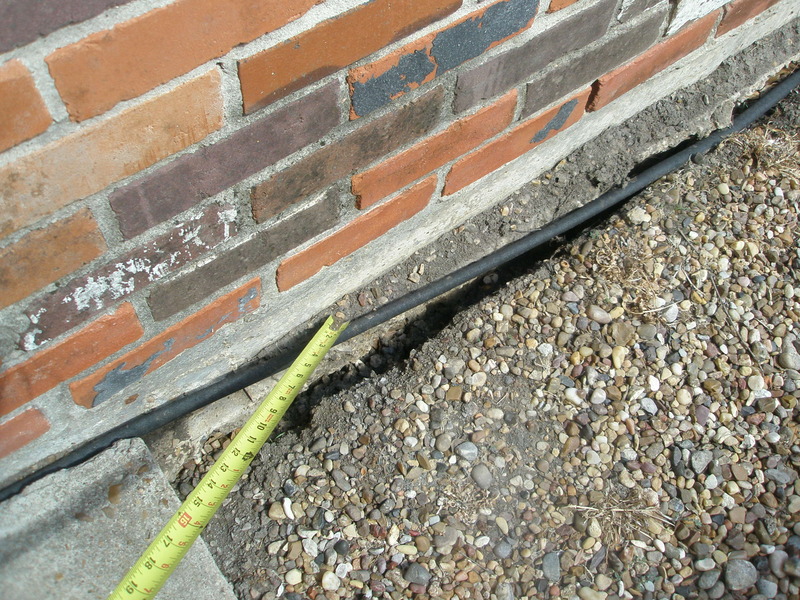 If the soaker hose is placed over this gap next to the foundation, water can run down the exterior concrete beam of the foundation and soak the soil supporting your home. If you get too much water saturating this soil, it becomes what is referred to as a ‘perched’ condition, which means that the soil will start losing its load bearing capacity. This will cause the foundation to move downward, which is just what you are trying to keep from happening. In our next post we will talk about some easy ways to determine if you have areas around you house that are too dry or too wet. Generally I don’t learn article on blogs, however I would like to say that this write-up very forced me to check out and do it! Your writing taste has been amazed me. Thanks, quite great article.